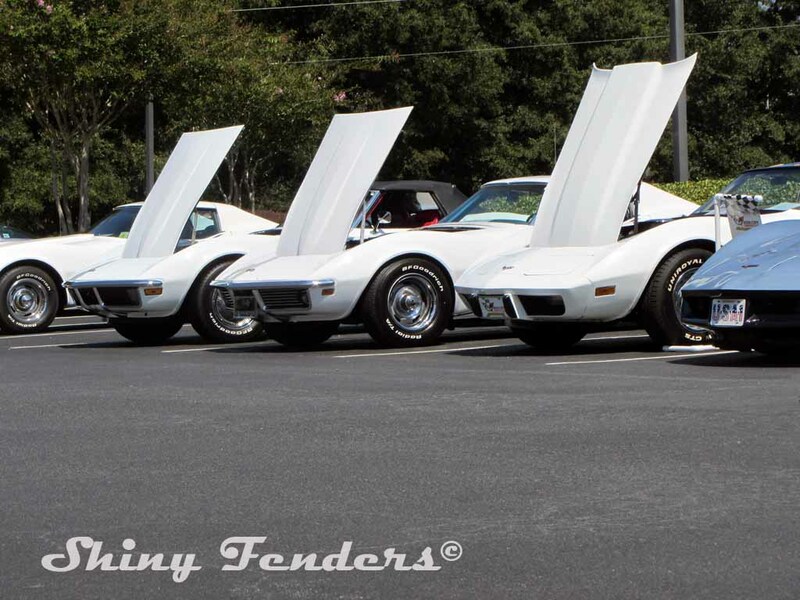 Our ’69 looked pretty good lined up in the C3 Corvette group at the Queen City Corvette Club sponsored Chevy Charity Show on 09/14. 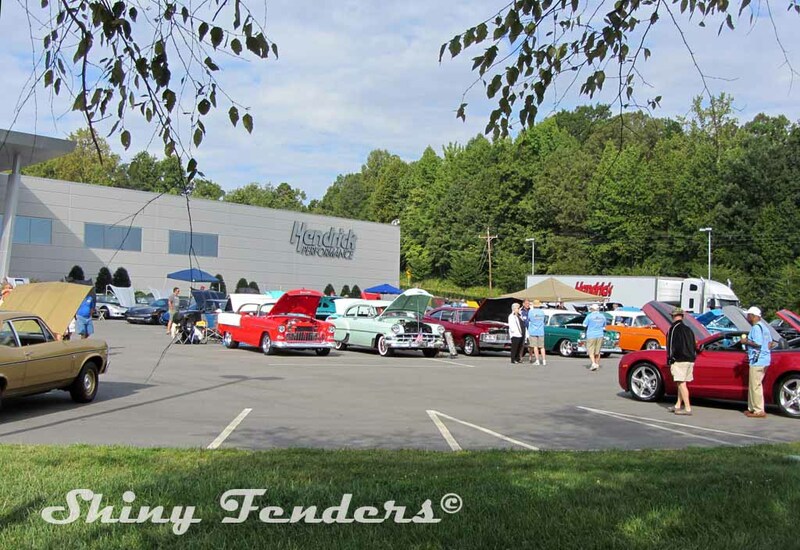 The show was held in Concord at Rick Hendrick Motorsports facility. The QCCC C3 winner was an NCRS Top Flight yellow ’69 convertible. The judging is basically on cleanliness/appearance/condition rather than “correctness” to original GM build standards. You get deductions on paint condition/chips/wear/appearance/etc. The paint on our ’69 is driver quality but not show quality. I mostly wanted to see how our ’69 looked with others of the same vintage and overall it looked pretty good to me (see attached pics—ours has the BF Goodrich tires). 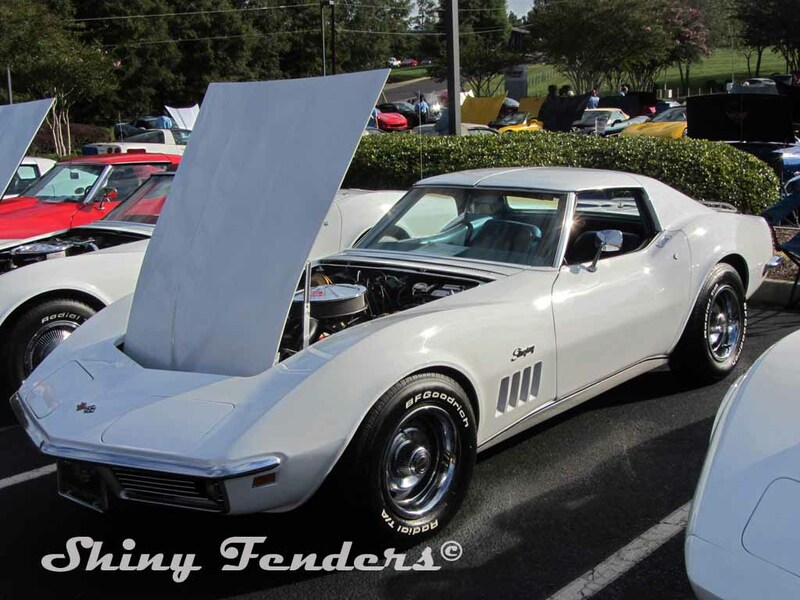 The show included other classic Chevy’s, GM trucks, Camaro’s, and non-club Corvettes which were judged separately from our Corvettes. There were some nice examples in all groups. After the show, we were able to tour Rick Hendrick’s private car museum ( $25 charity donation) that has around 200 cars (mostly mid 60’s Corvettes, CAN-AM racing Corvettes, other Chevy’s, custom/special cars built by Hendrick ). The building that houses the museum is also their business center for post race meetings, etc. It was unbelievable in the quality of the cars & the facility. Having 59 dealerships must be very profitable! In addition to the cars, it also holds Hendrick’s guitar collection of signed guitars of every band/musician you can think of. You walk into the conference room where the guitars are housed & see them through the glass floor you are standing on. Our guide was the guy responsible for setting up the car museum & upgrading it told us that Hendrick came by for an inspection just before they were done with the car museum & asked where his guitars would be stored. That wasn’t in the plan and the only way to get them in the building was to tear up an entire floor to add another level below it so they could effectively create a “display case” that you walked on! Then Hendrick wanted a full size engine to hang over the conference table in that room… they figured out how to do that & it’s there as well. 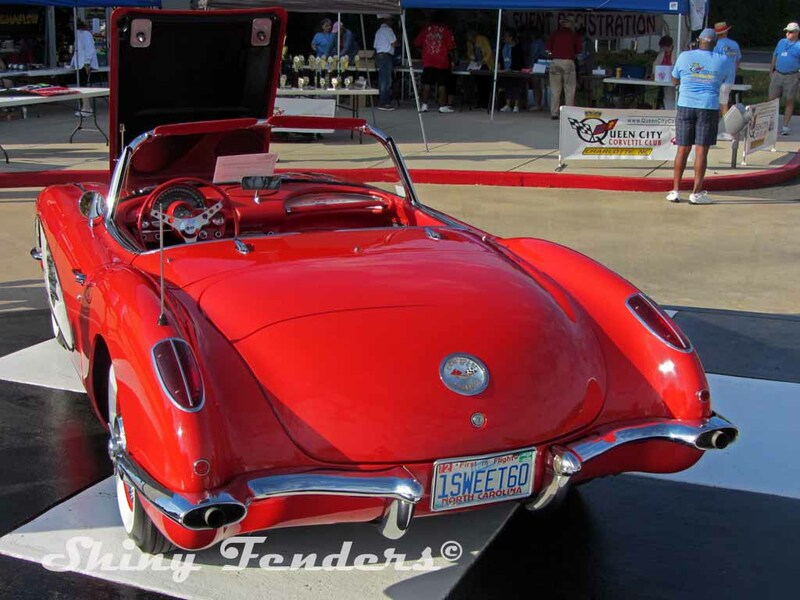 The conference table in another room is all glass over the frame/transmission/engine of a favorite ’63 Corvette that Hendrick owned….no body, just the frame& drive train…..and the media controls look like they are coming out of the gas tank that is also on this frame. To give you an idea about the size of this museum, it has a Dairy Queen replica, a Drive IN Movie (with screen showing a movie), a CITGO Gas station (Hendrick got his start pumping gas at a CITCO in Raleigh), a City Chevrolet car dealership show room, an auto performance shop, a replica of his father’s dry goods store and other venues to show case the cars…it’s huge. There are no pictures allowed and you have a tour guide to walk you through this thing. 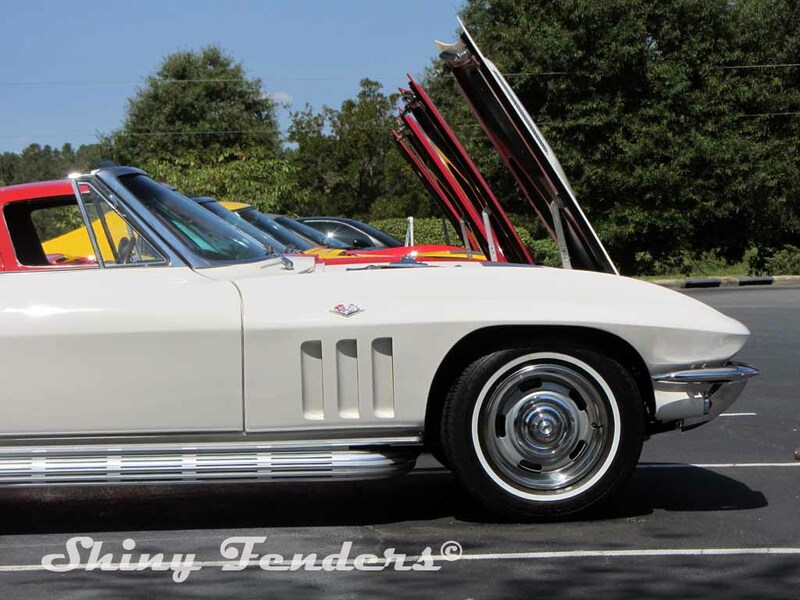 The guide pointed out a string a Corvettes which included 5 Corvette racing cars that were 7 figure purchase prices for each car! This guy buys and sells the collection pieces to continually upgrade the value of the collection. It took an hour to “quickly” walk through this museum. Its typically not opened to the public but Hendrick opened it up for charity donations to go along with the Chevy Show. It was well worth the $25 to see this museum & having the guy who set it up & manages it was a big plus. He was real personable and shared a lot of “inside” stories on some of the “special” cars. It was a full day. I arrived at the complex a 6:45am to help set stuff up and left at 4:30pm. Thanks for sharing your write-up and photos from your event. Wish we could have been there.